Happy tax day … not! 🙂 Looking ahead at the weather I decided to ride from Clovis, NM onward to Tulia, TX. 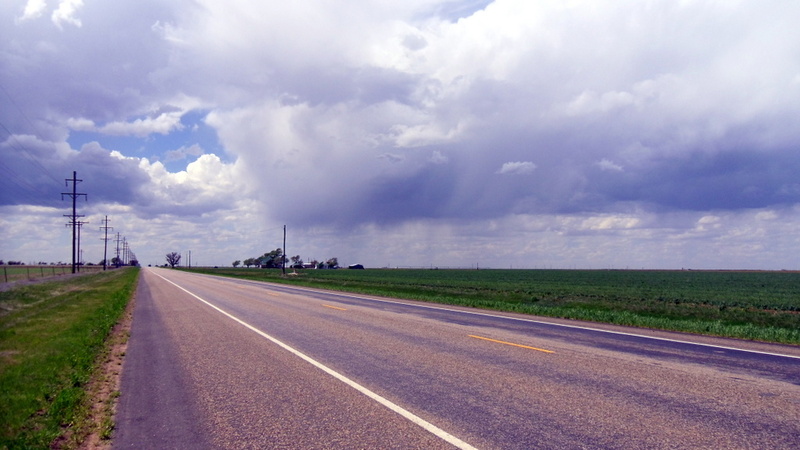 I saw that there might be some showers developing in the afternoon and on Thursday so I skipped staying at Dimmit, TX and road additional 32 miles to Tulia. Total of about 90 miles today and I’m beat … but it all went well. First off, I have to admit, the parts of Clovis I saw was highly industrial and not very pretty. It just didn’t have a good feel for me and I was happy to leave. 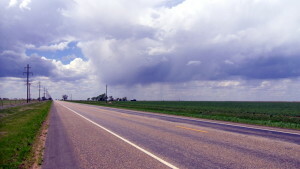 Left town at about 7:15 am (MDT) or 8:15 am (CDT) and it is about 10 miles to Texico, NM and Farwell, TX. Followed US 60 NE to the town Bovina, TX where I took hightway TX 86 where I would ride on the rest of the day. Roads the entire day were really good with nice wide shoulders. I arrived at Dimmitt, TX around noon where I found a hamburger place to stop and have a little lunch. 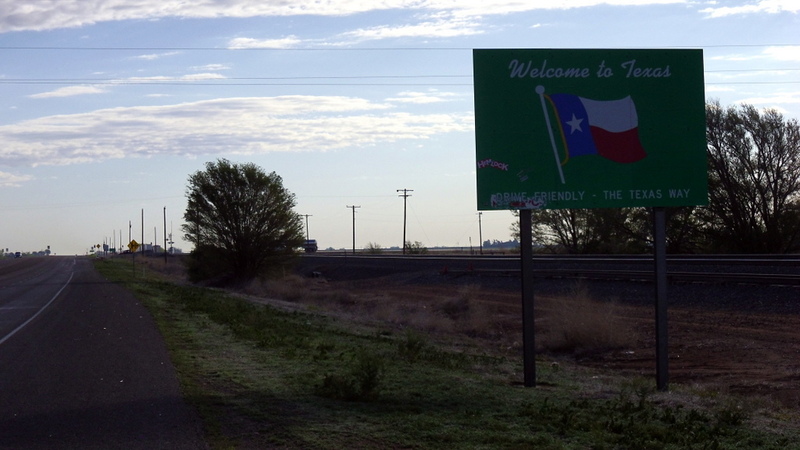 Dimmitt was to be an overnight stop but I was feeling pretty good so decicded to continue on to Tulia. All in all, another great day but a tiring one. I’m thinking of sleeping in a bit tomorrow. Bike as someone's "Yard Art"
Welcome back to TX! Great job on pushing yourself. 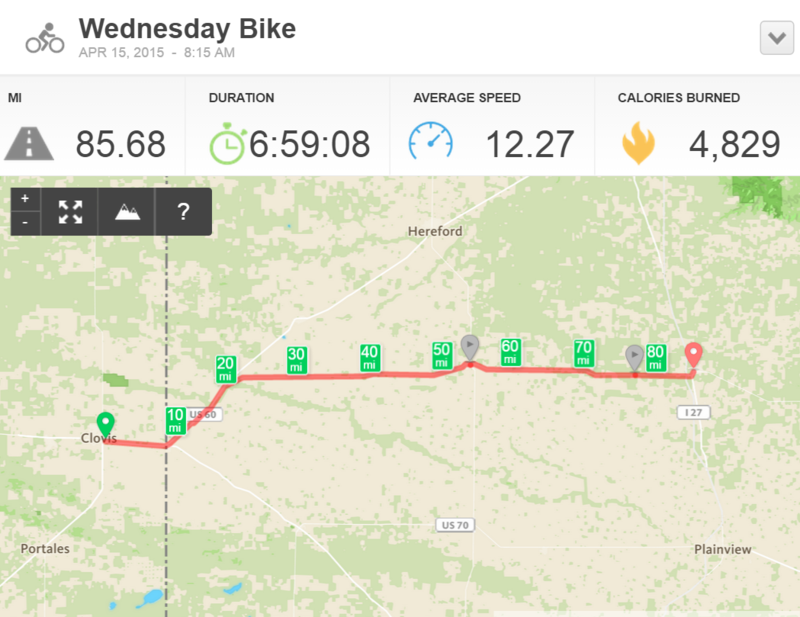 If your route is to Caprock Canyon St Park today, definitely take a rest day off bike tomorrow…hiking will do the legs (and rest of body) some good. Great job dad! Way to keep pushing yourself! I love you! 90 miles! Wow, way to go.